My little lady and I can't wait to go to the beaches of Zambales or if the king's blessed with time, Hundred Islands of Pangasinan. Truly, summer will not be as happy as it should be for my water baby without getting tanned. It's not only us mortals who celebrate the season with a bang. The 50+ year-old Barbie is into it, too, through her monthly magazine! She now uses it properly. You know, she used to chew the pages of her magazines and books when she was little. ;) I told her she'll get a copy monthly if she'll take care of it. Wide-eyed, she said "a lot of Barbie, Nanay?" I just nodded as a confirmation to her kikayness. Ayayay. "It’s summertime with Barbie Magazine’s Sunny Adventure"
Barbie Magazine launches its summer special issue, Sunny Adventure. Join Barbie as she hits the beach and goes surfing or as she hangs out by the pool to enjoy the sun. Barbie also recommends new hobbies to keep you busy during the summer—cycling, gardening and flying kites. And we have a summer fashion feature that kids will surely enjoy. 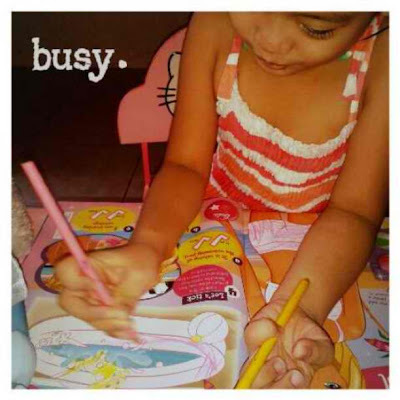 Plus, there are your favorite stickers, coloring activities and back to back posters to hang on your bedroom walls. 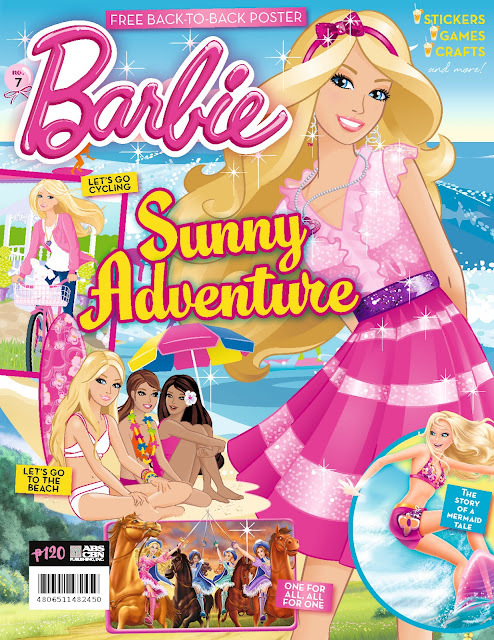 Barbie is a monthly magazine of ABS-CBN Publishing Inc. It's available at P120 in major bookstores and newsstands nationwide. For comments and contributions, email Barbie Magazine at BarbieMagPHL@gmail.com. So mommas with little ladies, grab a copy from convenience stores, newsstands and bookstores near you! If I had a little girl, we'd definitely be subscribing to this mag too.